Coming off consecutive losses to Top 10 teams, No. 14 Palisades has bounced back with consecutive lopsided victories this week, including Wednesday’s 14-1 win at Notre Dame. In their previous two games, the Dolphins had lost to Harvard Westlake 15-2 and at Agoura 16-8, dropping them to 2-3 on the season. A 17-3 victory Monday at City League rival Birmingham righted the ship, leading to Wednesday’s big win at Notre Dame. 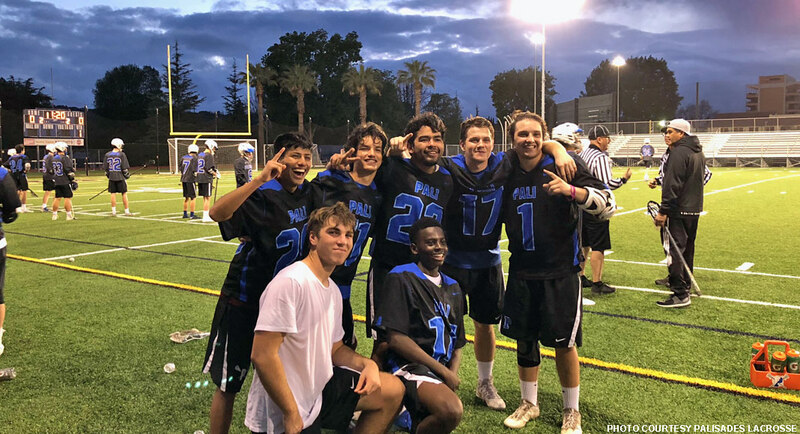 Senior Macchio Rissone led the Palisades offense against the Knights with four goals and three assists. Aidan Caso (2g, 3a) and Jack O’Rourke (2g) also provided multiple points. Palisades (4-3) plays at No. 16 West Ranch (1-2) on Saturday. Notre Dame (3-3) plays at home against Royal on Friday.